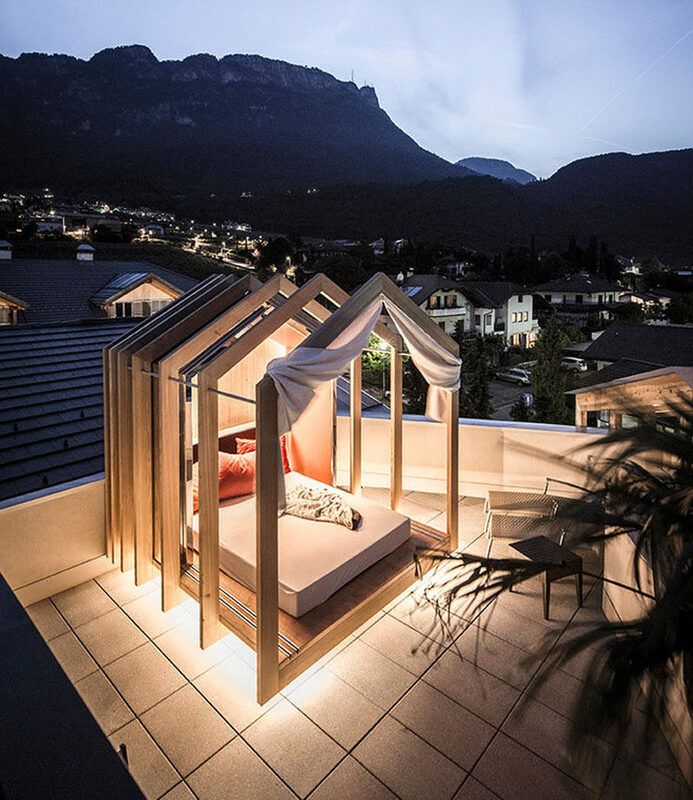 As part of the renovation for Hotel Panorama in Kaltern, Italy, design firm noa* network of architecture, created a rooftop cabana. 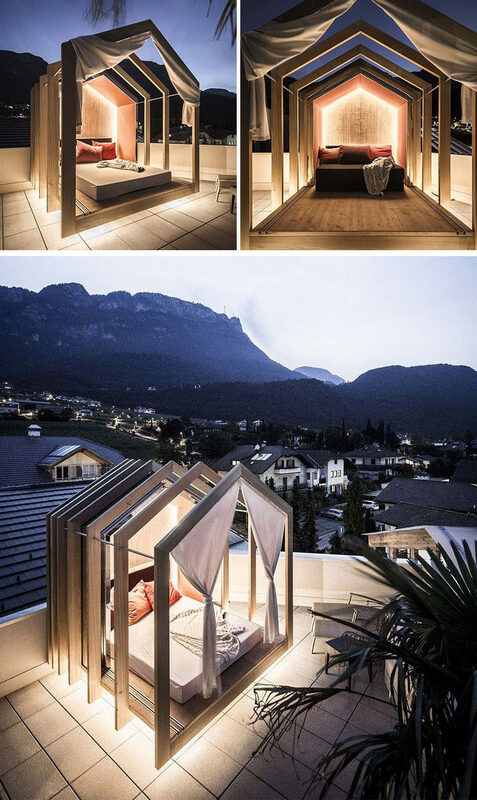 The cabana or outdoor bedroom is located on the terrace of room 701, that allows the hotel guests to sleep under the stars if they wish. 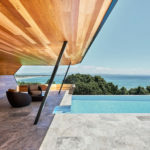 The cabana, which has been designed as an extendable structure, has seven wooden frames that make up a pitched roof and a sliding inner wall. 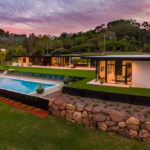 The inner wall, which is mirrored on the exterior, can extend out to create a more private space, or it can retract to be almost completely open. There’s also a curtain that can be closed, should you wish to have a door. 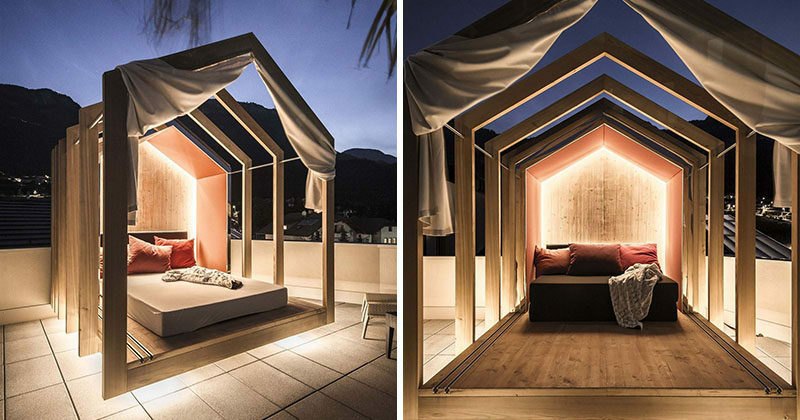 Hidden lighting underneath the cabana provides a soft glow on the terrace, and for lighting within the cabana, it is incorporated into the back wall.